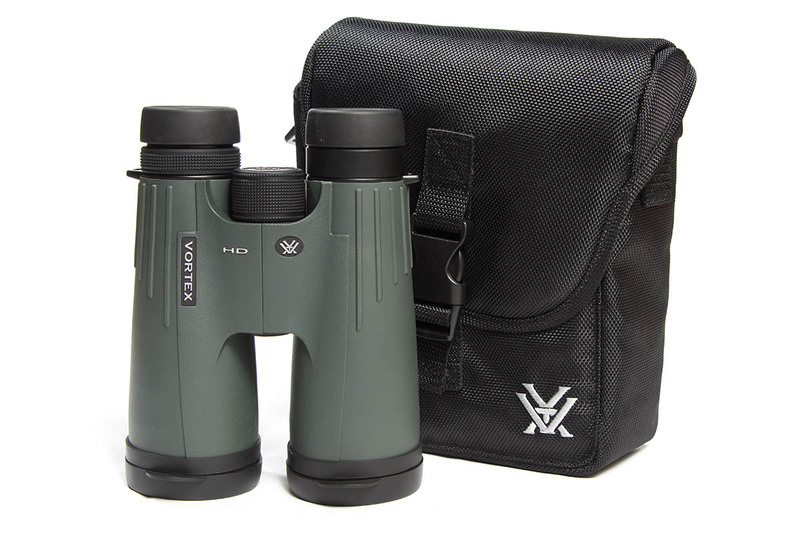 I’ve been checking out the Vortex Viper 12×50 binoculars for a few months now, using them from everything from checking out the random animals in the neighborhood, to spotting shot placement at the range. 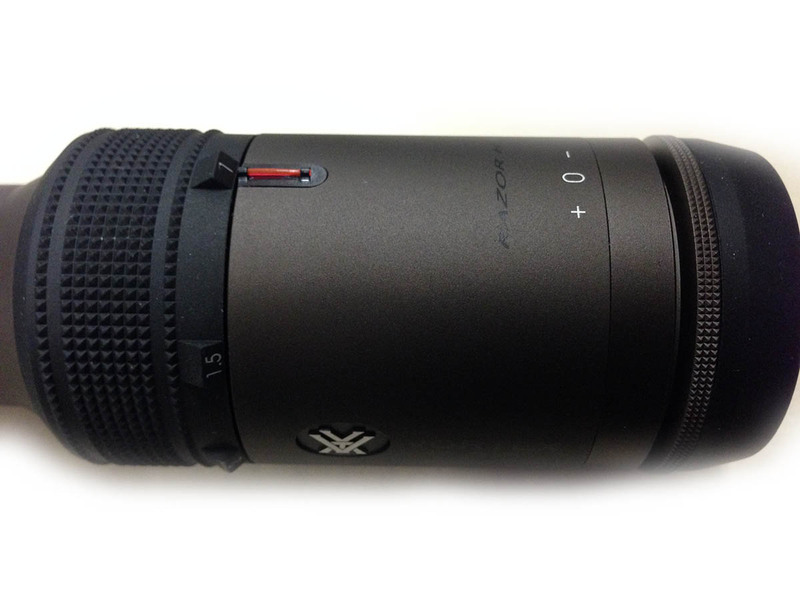 I recently got my hands on a Ranger 1000 Rangefinder by Vortex Optics. I’ve played with these in the store and used similar range finders that friends have owned, but out of all of the rangefinders I’ve used, I keep going back to the Ranger 1000. The ergonomics are great, it’s very compact and light, and it’s accurate. The ergonomics of the Ranger 1000 are great, and it allows for easy one handed operation, something that is great if you are also carrying a rifle when out hunting, etc. Along with the great ergonomics, the Ranger 1000 is also fully o-ring sealed, so it’s very water resistant. Included with the rangefinder is a nice carrying case that will attach to a 2″ or smaller belt. The case has elastic on the sides, it pinches the rangefinder, so even if you forget to clip it closed, it’ll take some serious moving around for it to fall out of the case. It also has a belt clip directly on the side of the rangefinder, so you can simply clip it to your belt; the clip can be moved to either side of the range finder. Also included in the box is a lanyard, a field reference card and the required CR2 3v battery. With everything in the case, the battery in the rangefinder and the lanyard attached, the whole package weighs in at 9oz and measures 3.5 in x 4.25 in x 2 in (L x W x D). So a pretty small and light weight package. 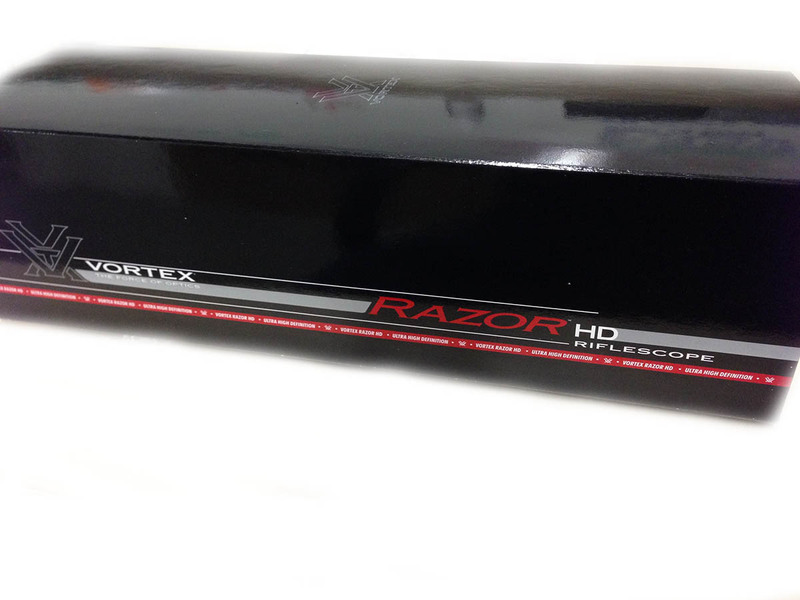 I recently got the opportunity to get my hands on a Vortex Razor HD 1-4×24 scope. 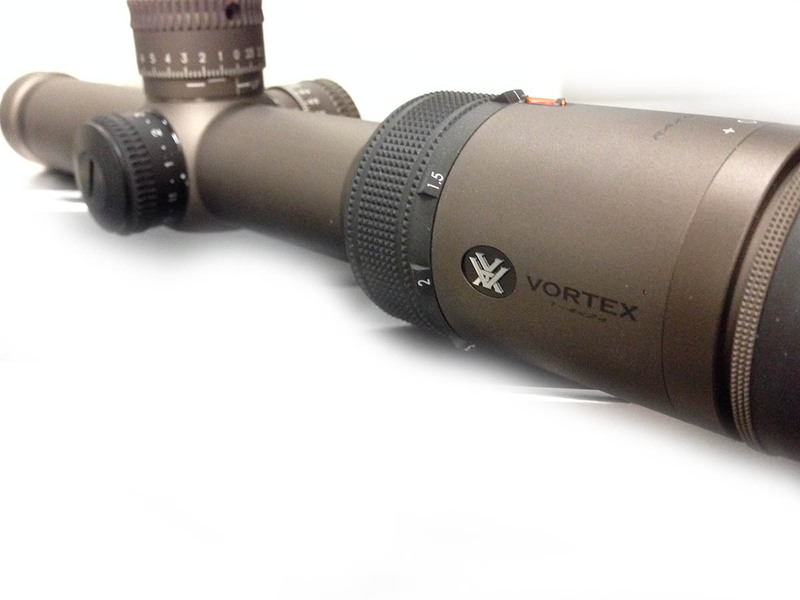 This is pretty much one of the top of the line optics from Vortex, and I have to say I really like it. It’s a little on the heavy side at just over 20 ounces. Other than the weight, it is a great optic. The fit and finish is awesome, it feels very well put together, and everything just feels like quality. There are no loose turrets or anything like that. 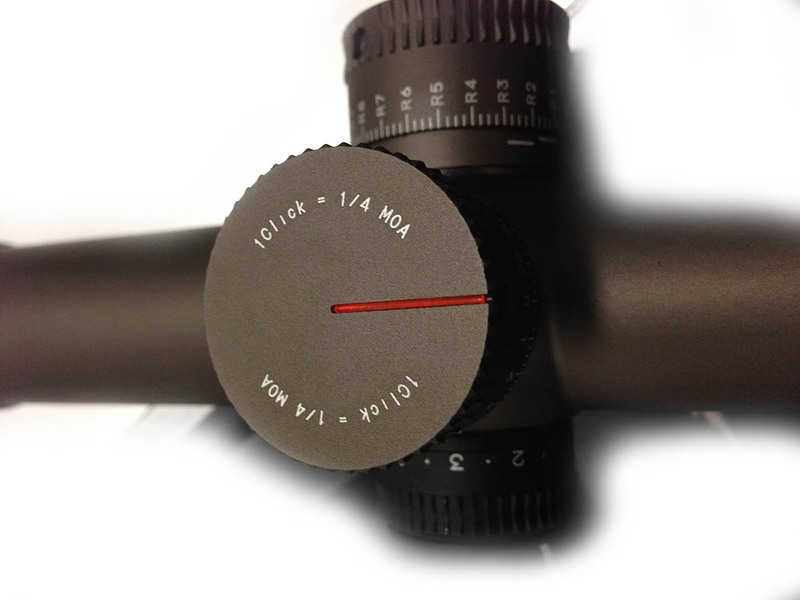 The “precision-etched” reticle is on the first focal plane (FFP), this allows for reticle to remain in proportion for the entire magnification range. 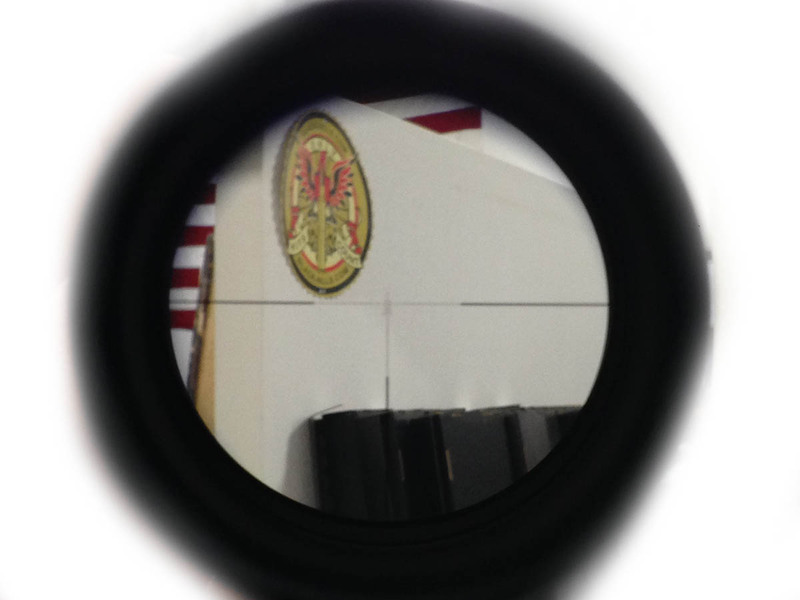 This is a little strange at 1x (you cant see much of the reticle detail, but not that you need much more than an “X” at that magnification). 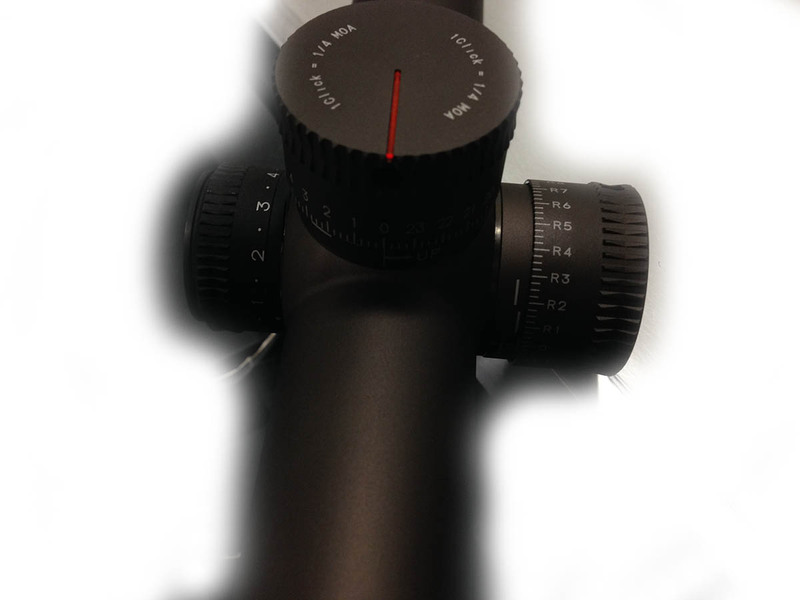 But at the full magnification, the reticle and all of its detail is crystal clear. I’m a fan of FFP reticles, especially for longer range applications. 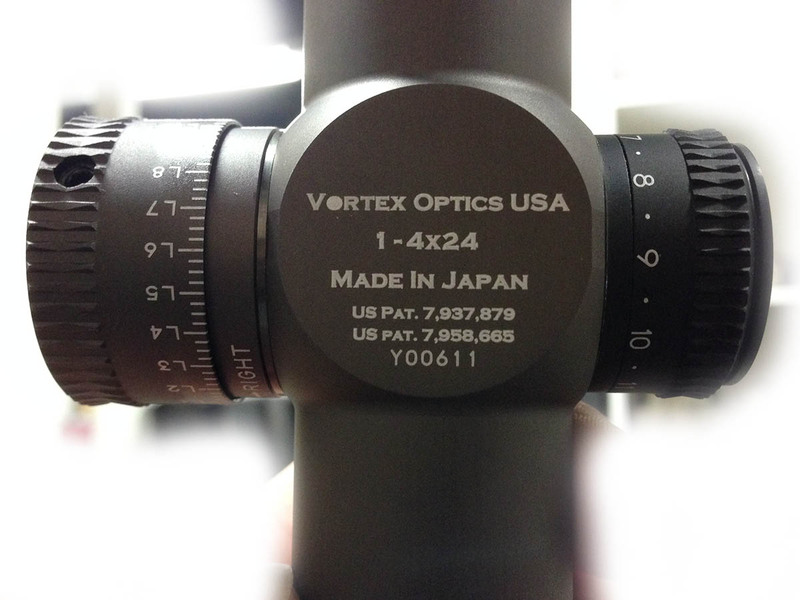 Here are all of the specs on the Optic from the Vortex website. I would definitely recommend checking out one of these optics, the price point is on the high side, but if you need a great 3-gun optic, I would definitely suggest taking a look at them. You can pick one up on Amazon or at your favorite optics dealer. I recently decided to get a Red Dot for my AR-15 build out, I opted to go with the Vortex Sparc Red Dot. I mostly decided to go with it after the review by Mac on the Military Arms Chanel. He does a good review and some durability tests. Check it out. Some things to note, I’ve found that with red dots and holographic sights, the way my eye is, causes the dot to be a little misshapen and not clear. This is my eye, and not the optic. In the video below I discuss some of the details around that and show some pictures and video of the reticle. Check it out!